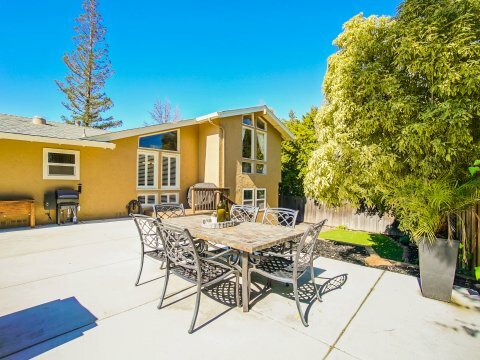 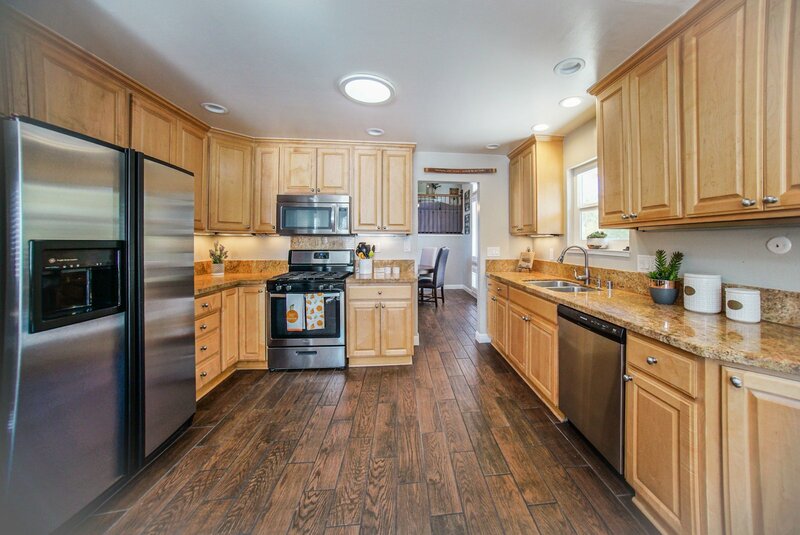 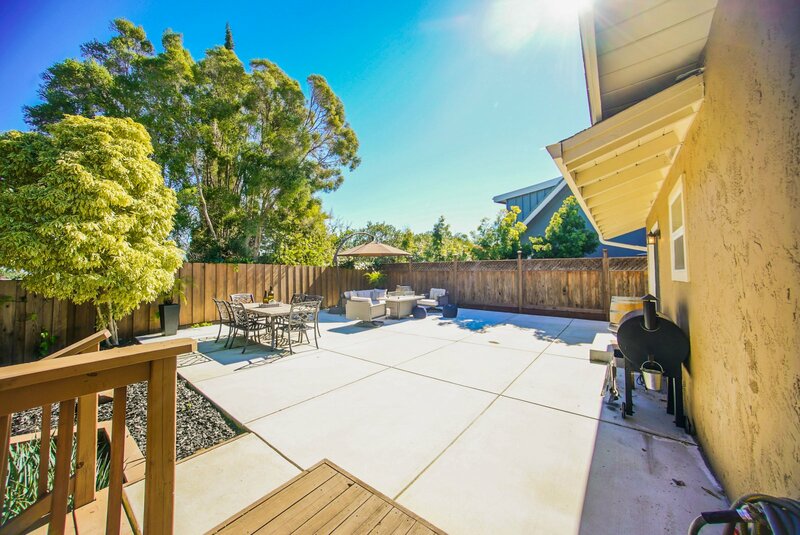 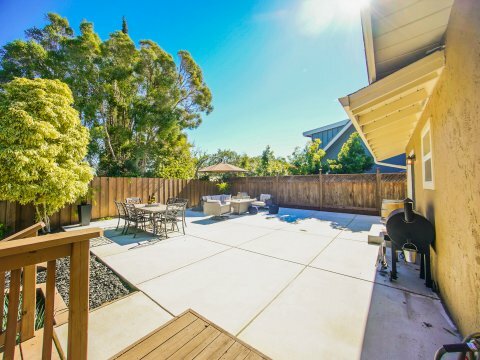 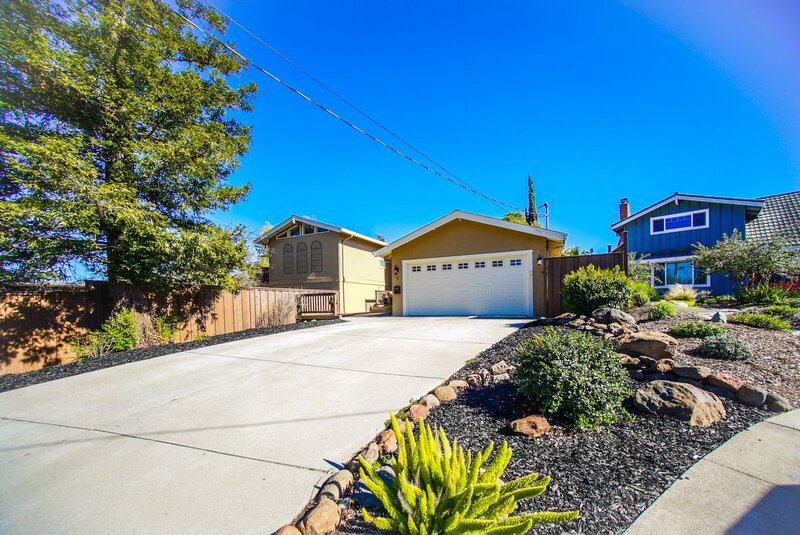 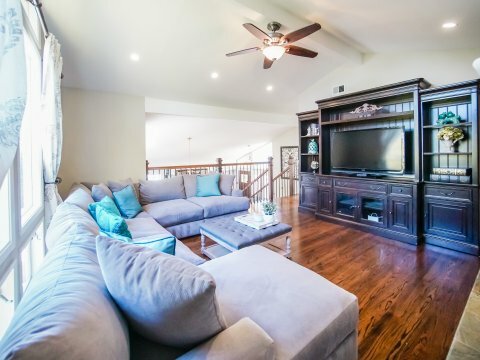 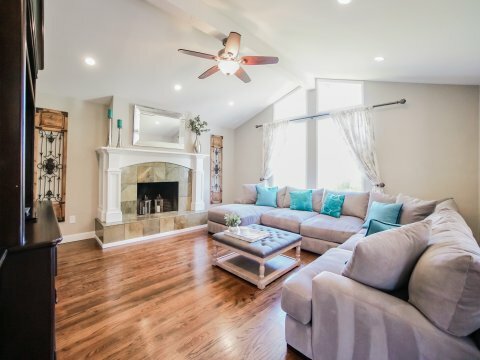 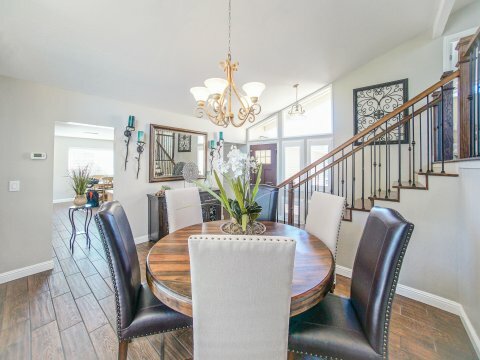 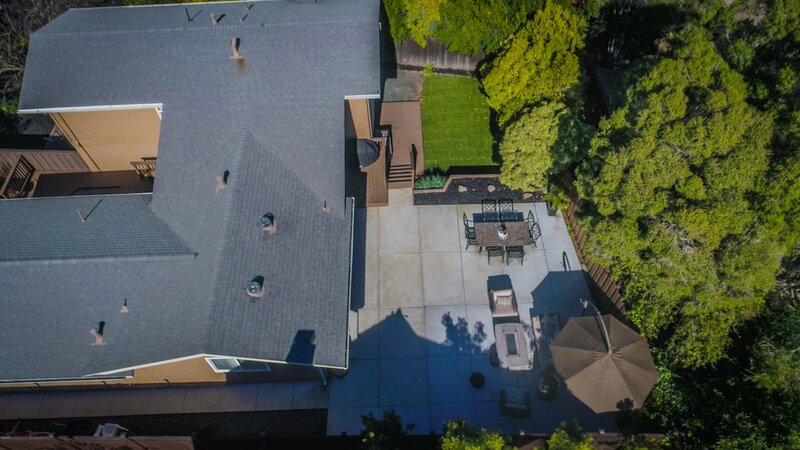 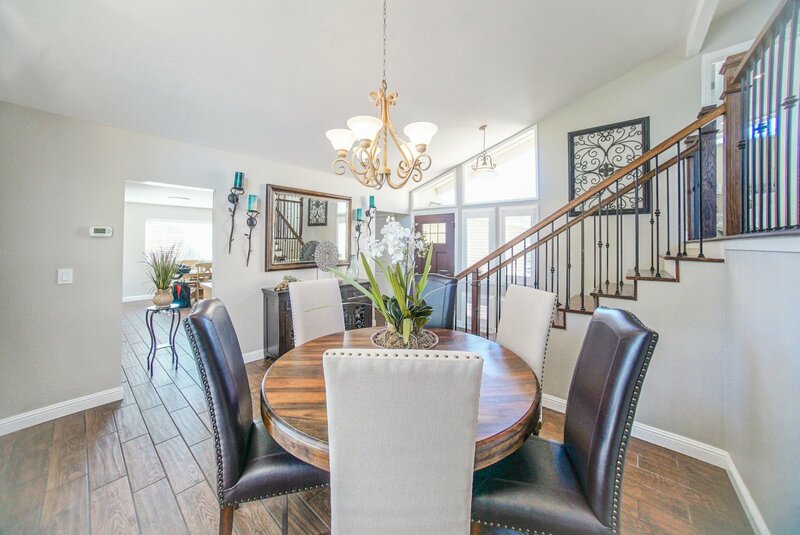 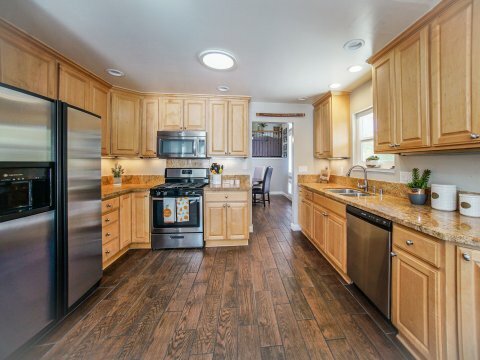 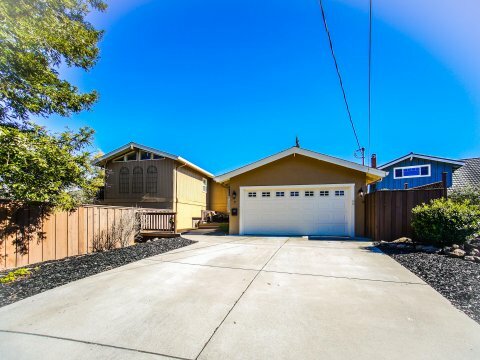 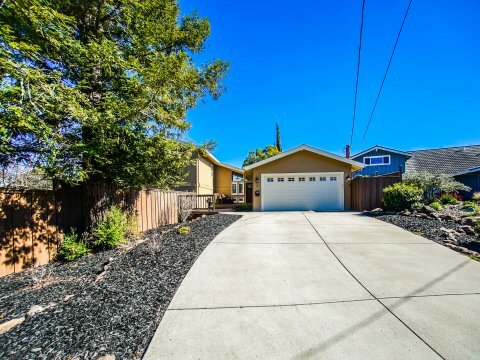 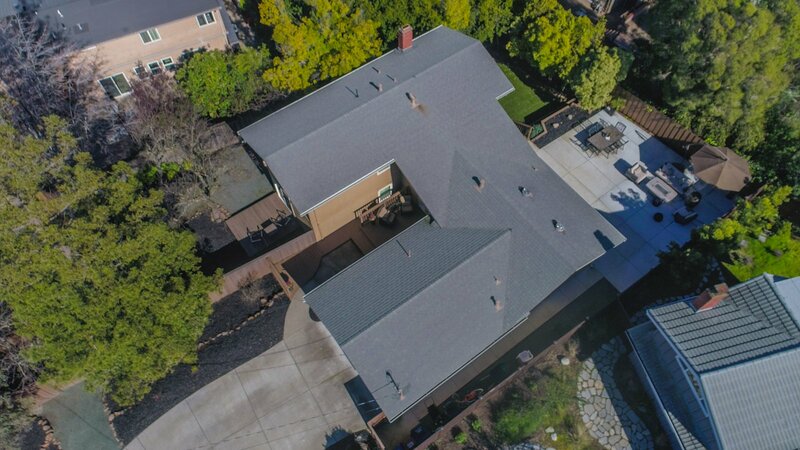 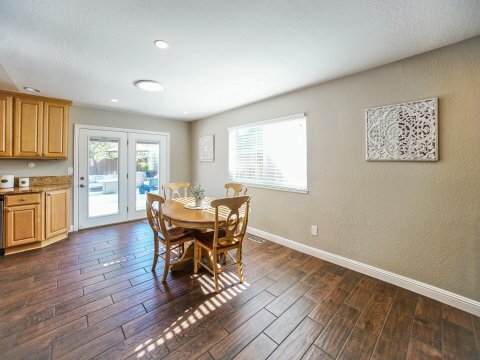 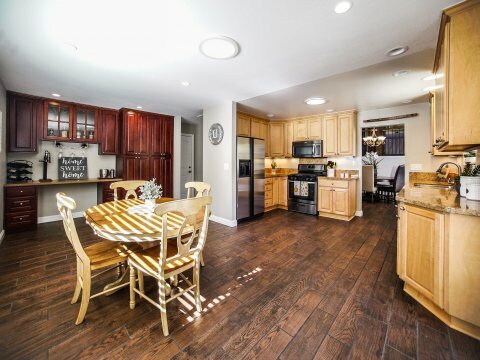 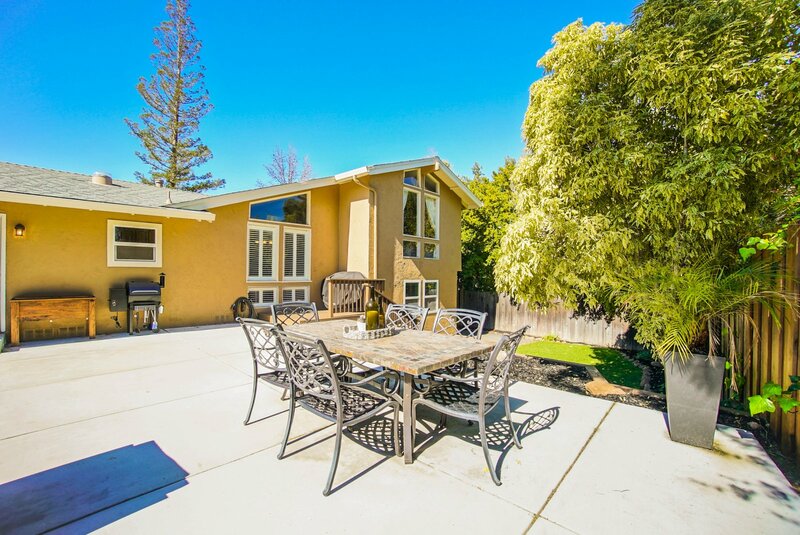 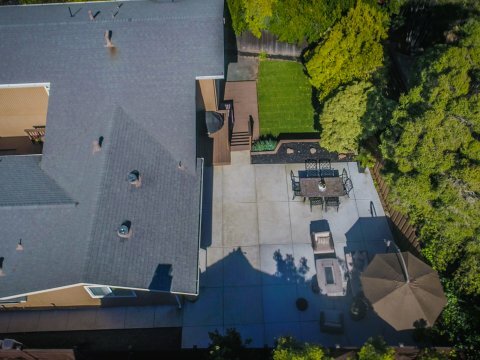 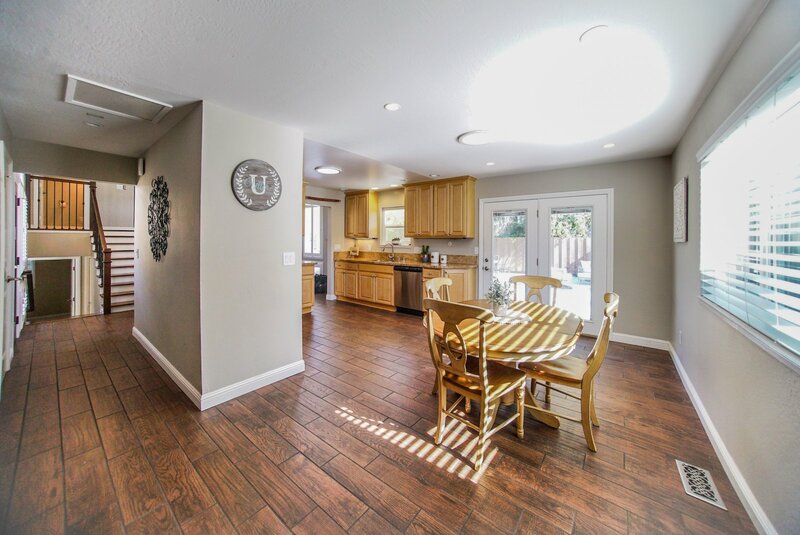 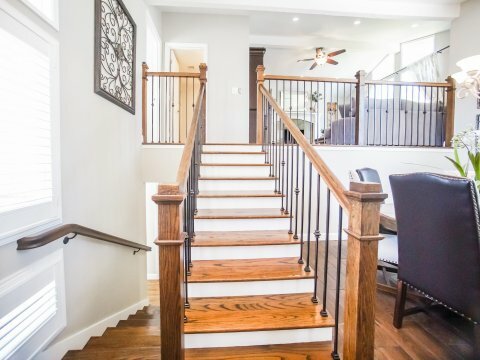 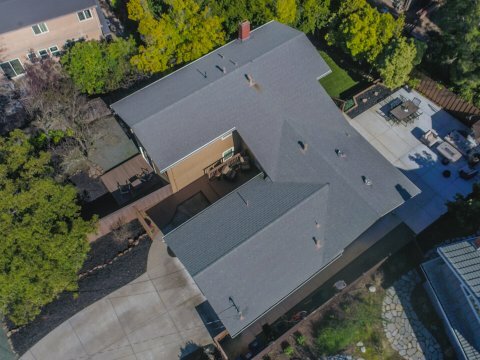 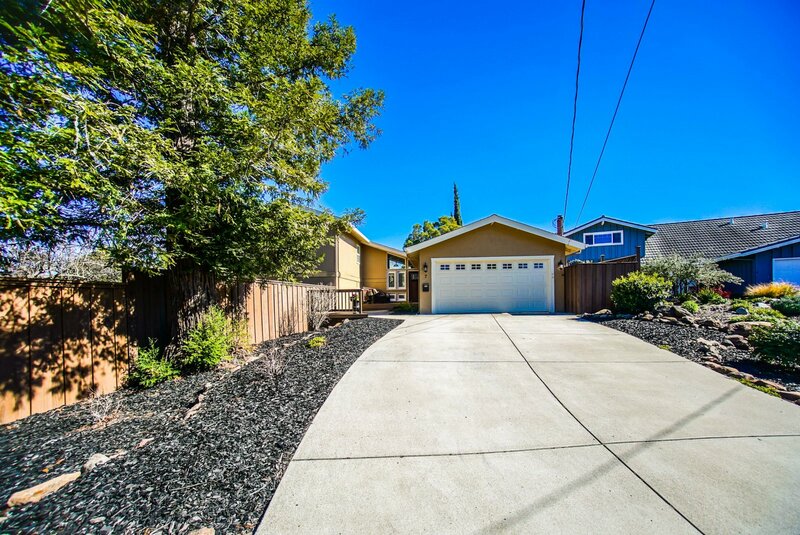 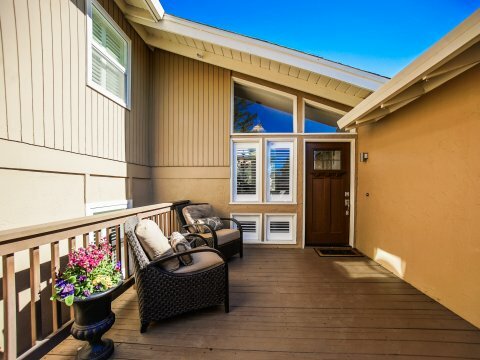 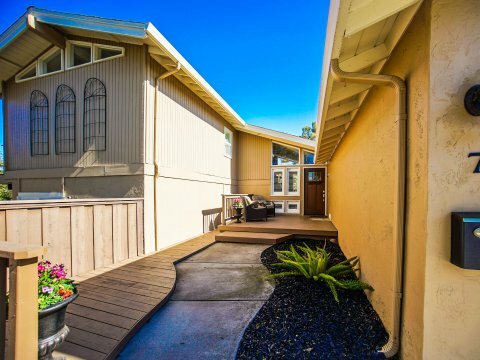 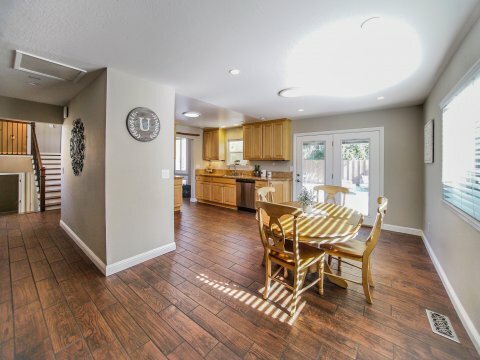 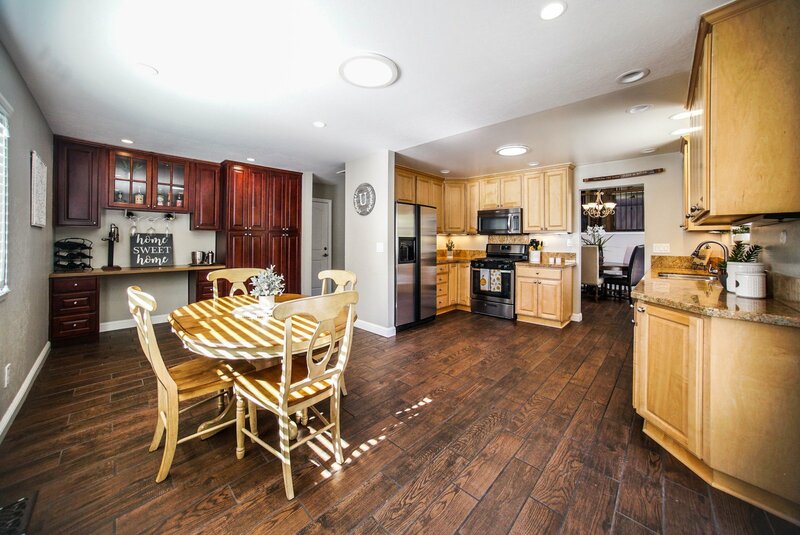 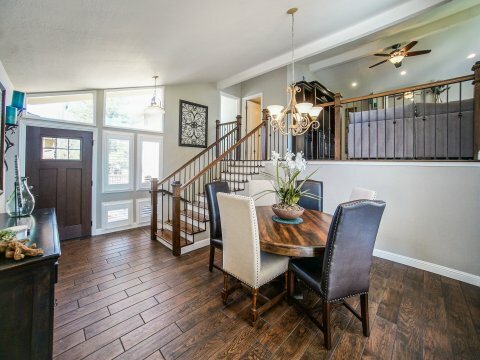 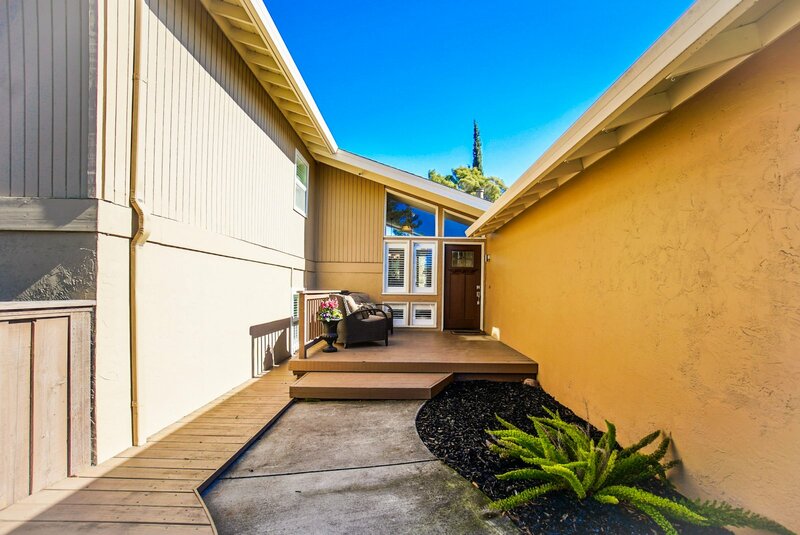 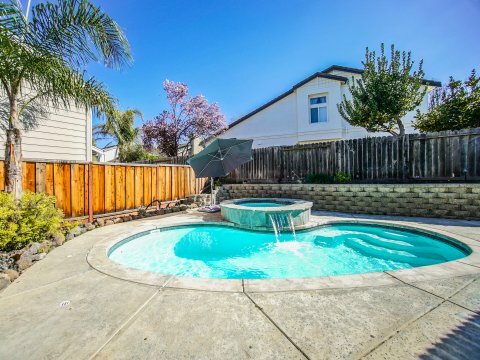 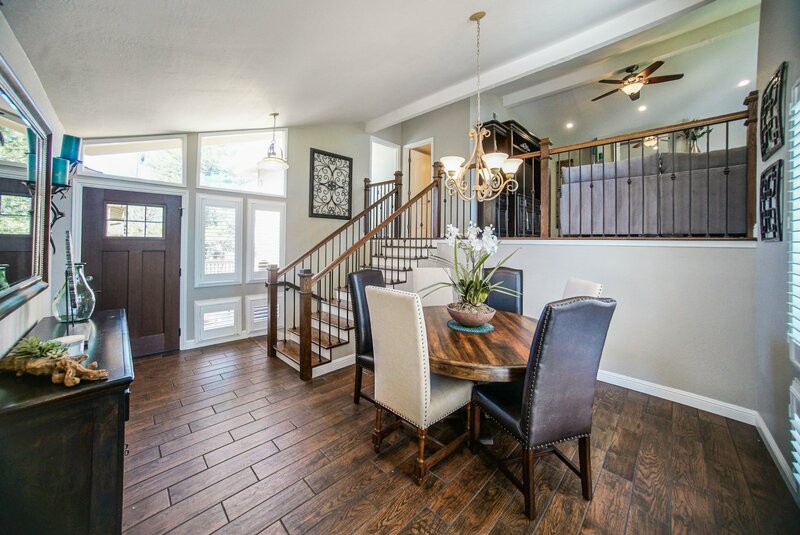 This gorgeous tri-level home is located in a quiet court location and within walking distance to DVC and Pleasant Hill’s highest-rated grade schools. 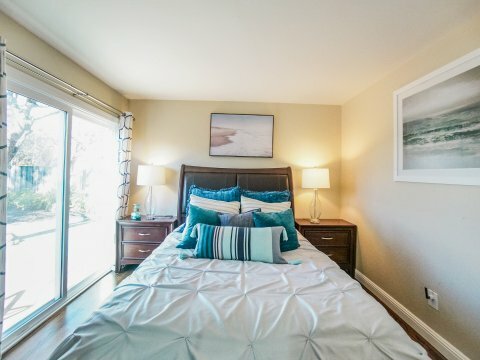 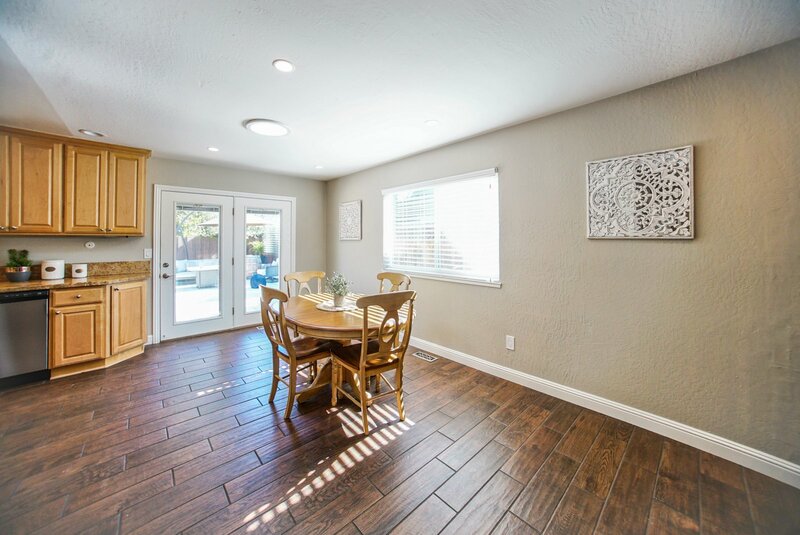 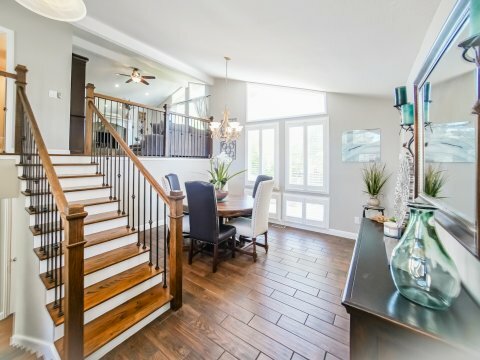 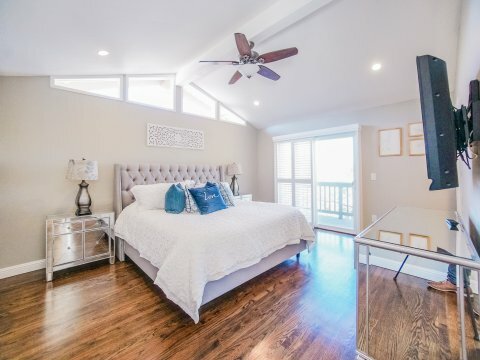 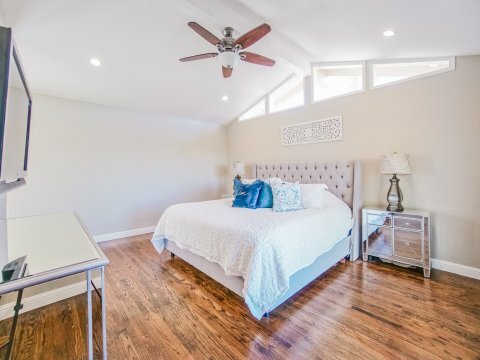 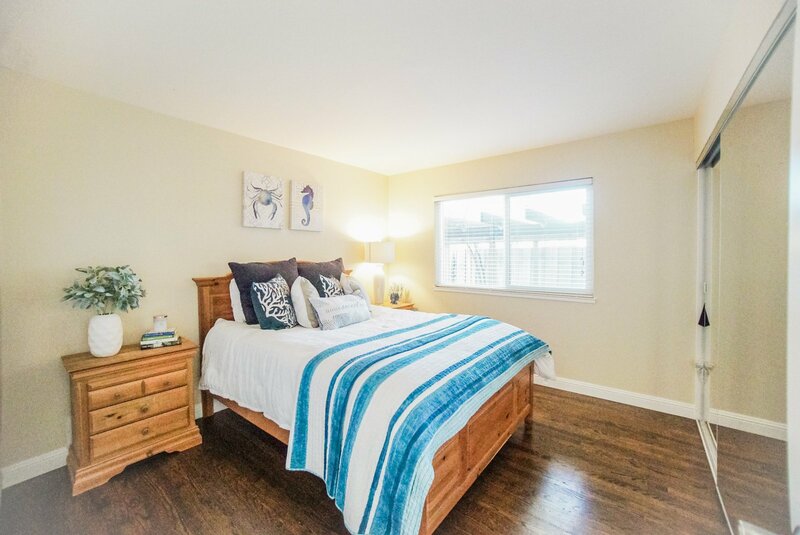 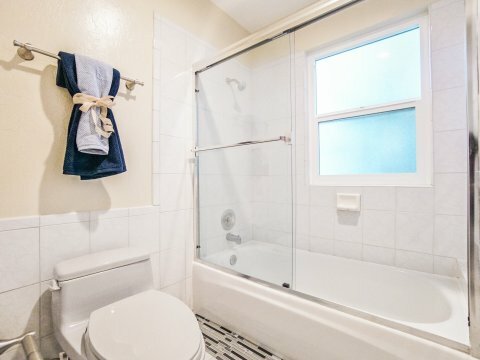 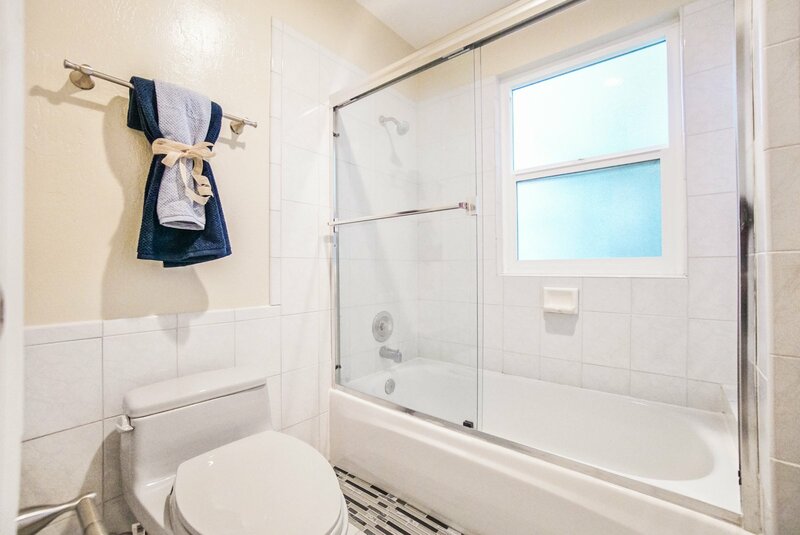 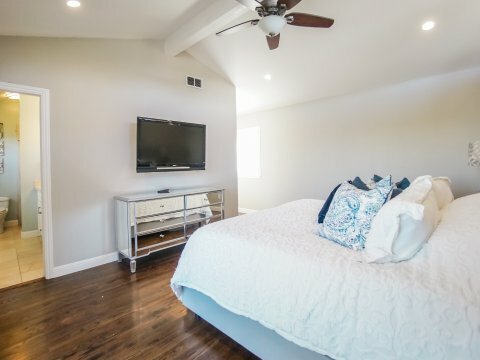 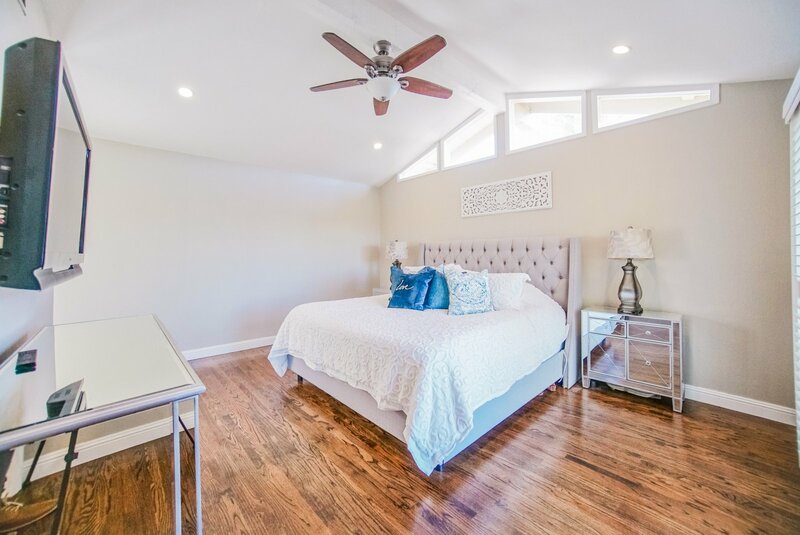 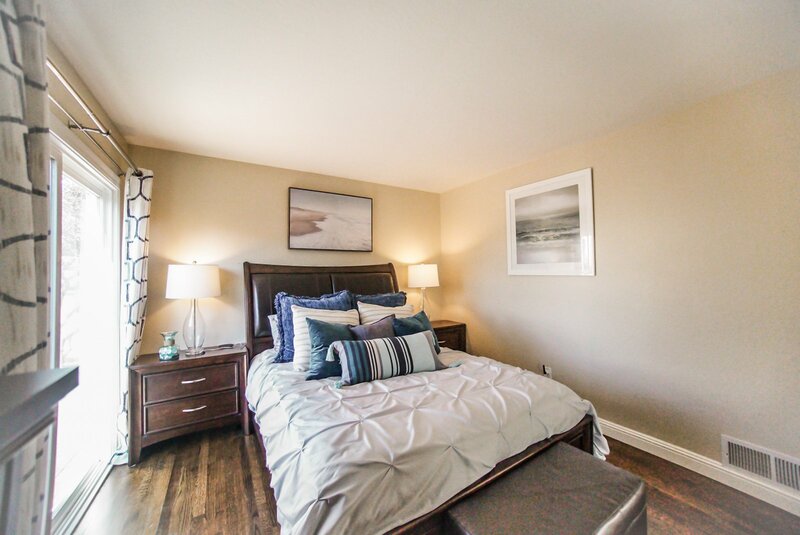 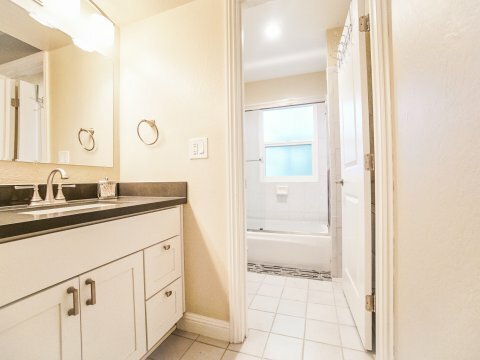 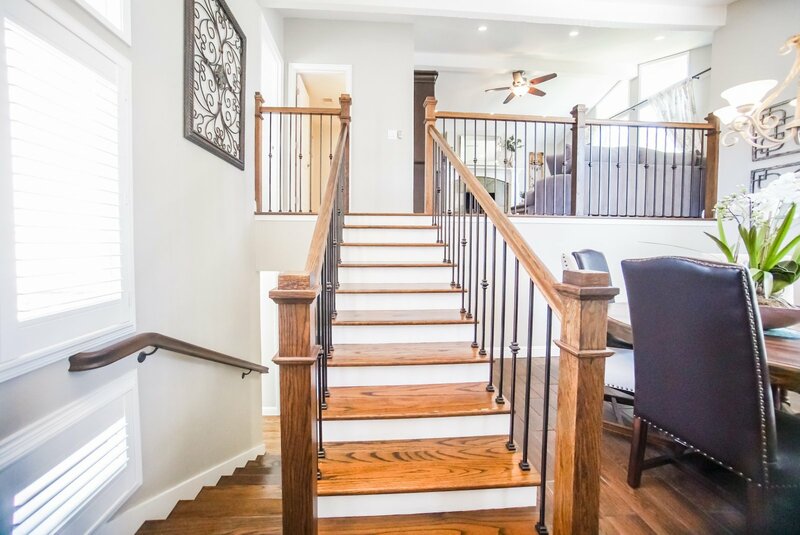 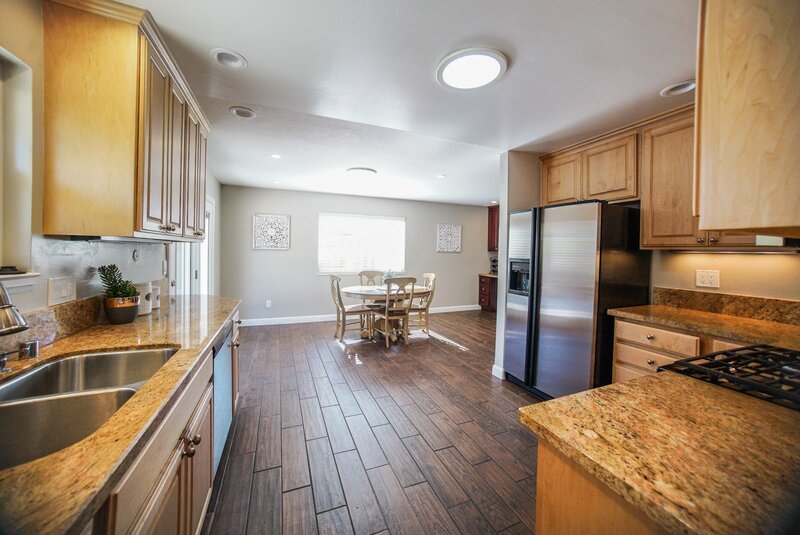 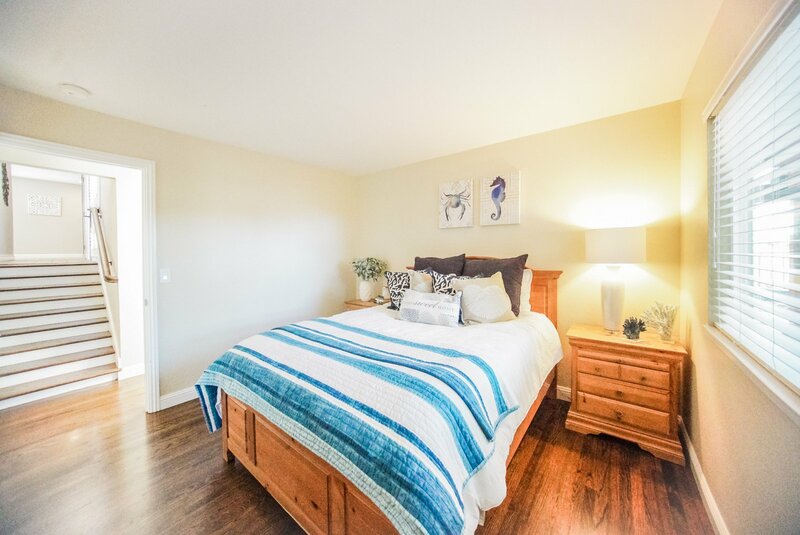 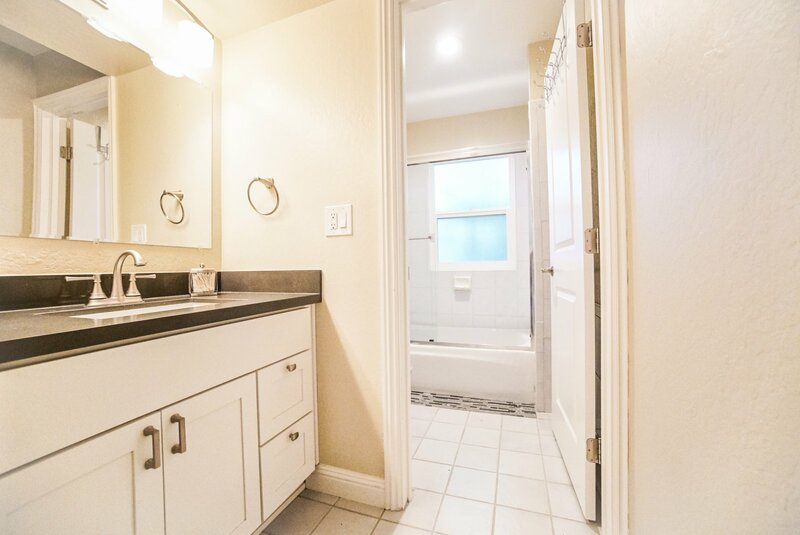 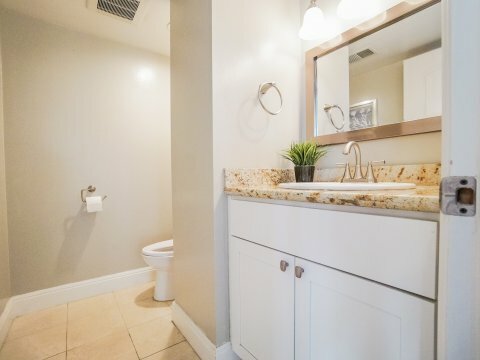 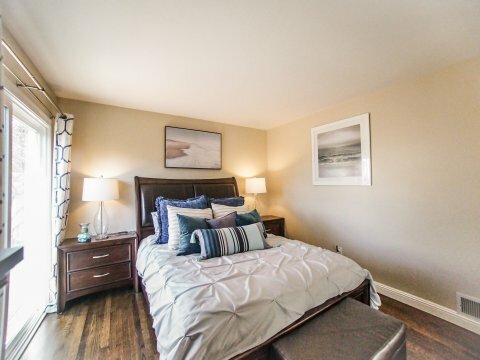 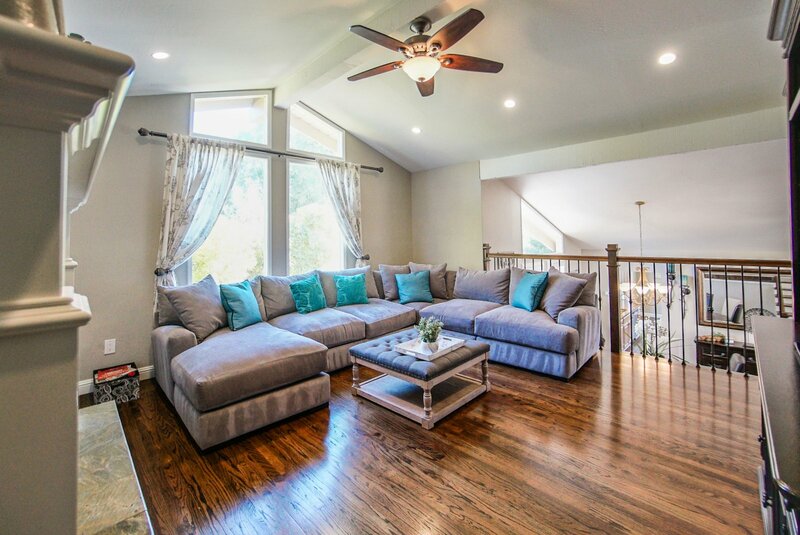 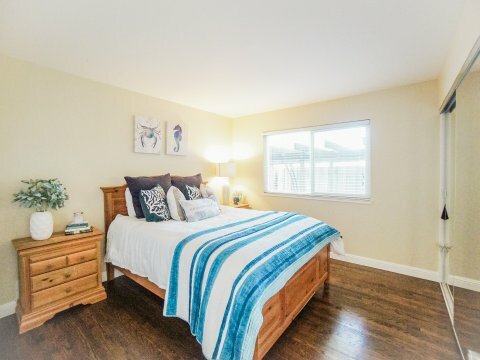 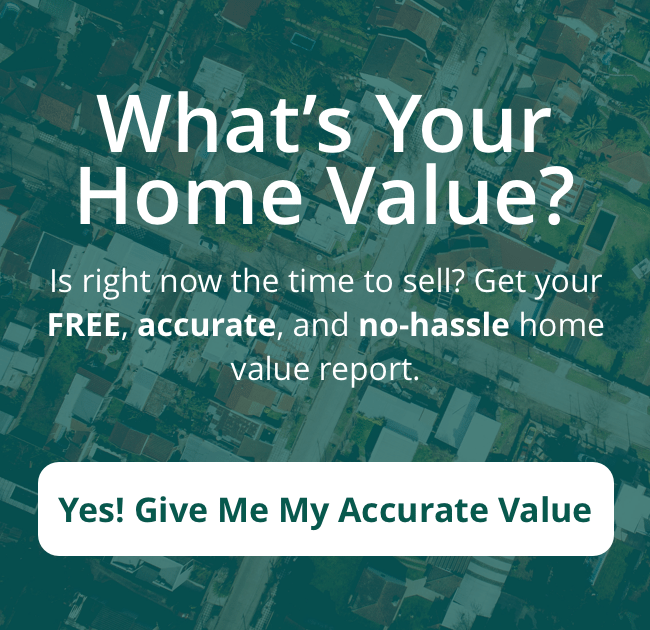 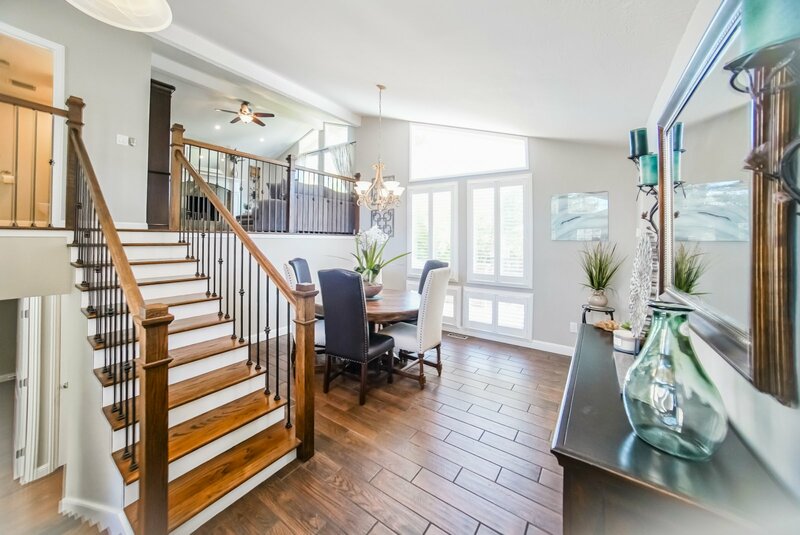 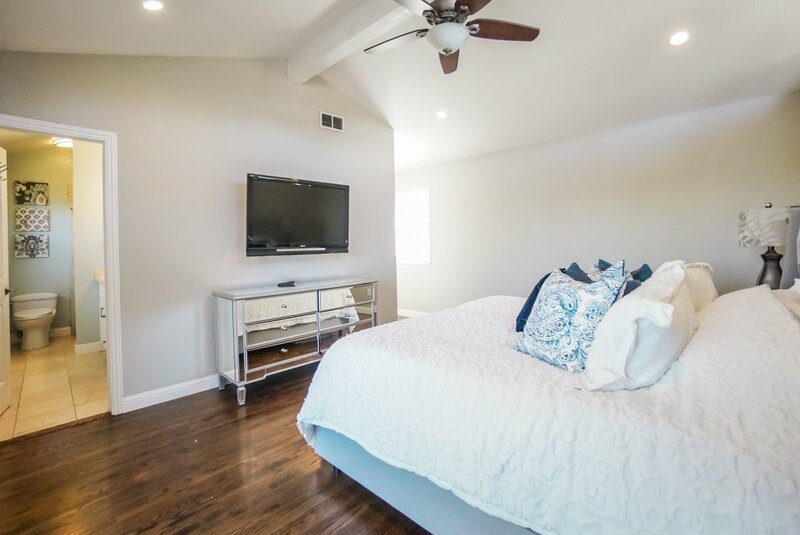 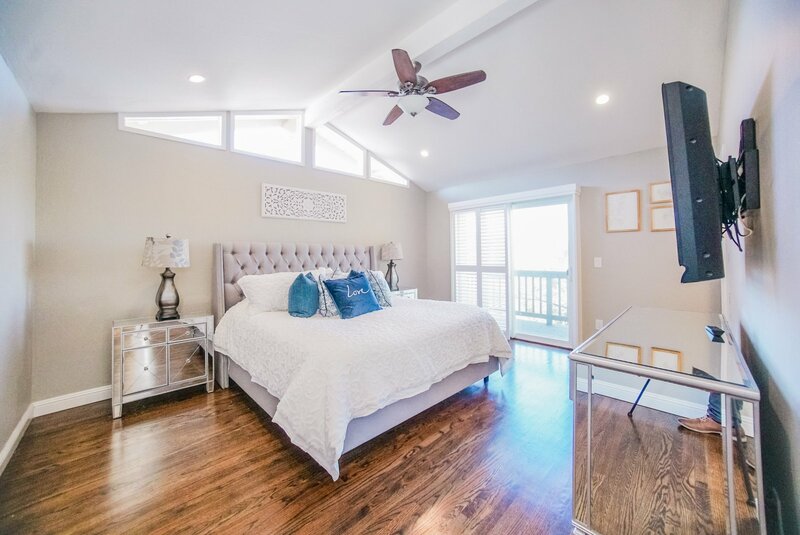 Enjoy some of the beautiful features this home has to offer includes stunning hardwood floors, gorgeous tile, fresh interior paint & energy saving dual pane windows. 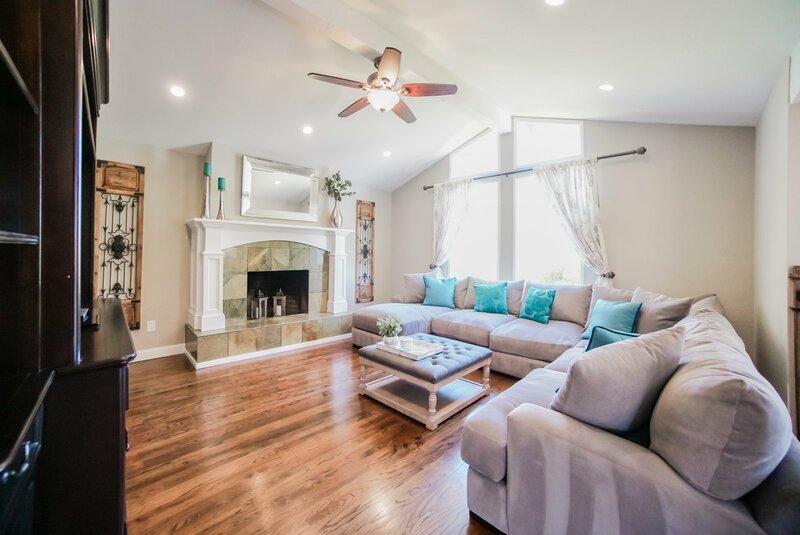 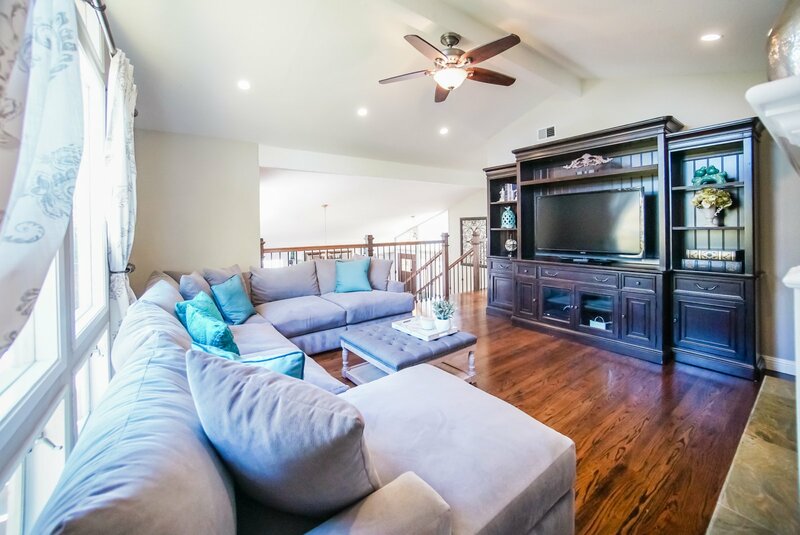 This home offers a welcoming and bright family room offering a wood burning fireplace & opens to the lower main entry level. 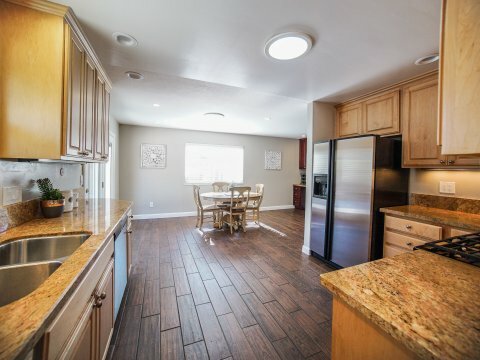 Cook your meals in style in this beautiful and open kitchen offering solid granite counter tops, canned lights, matching stainless steel appliances, access to the back patio, eat-in kitchen area, additional pantry cabinets & a built-in desk (Ideal for studying, working or your very own wine bar area). 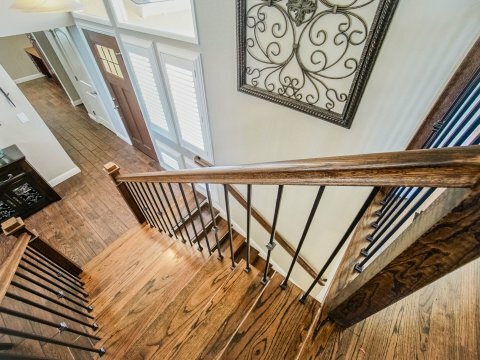 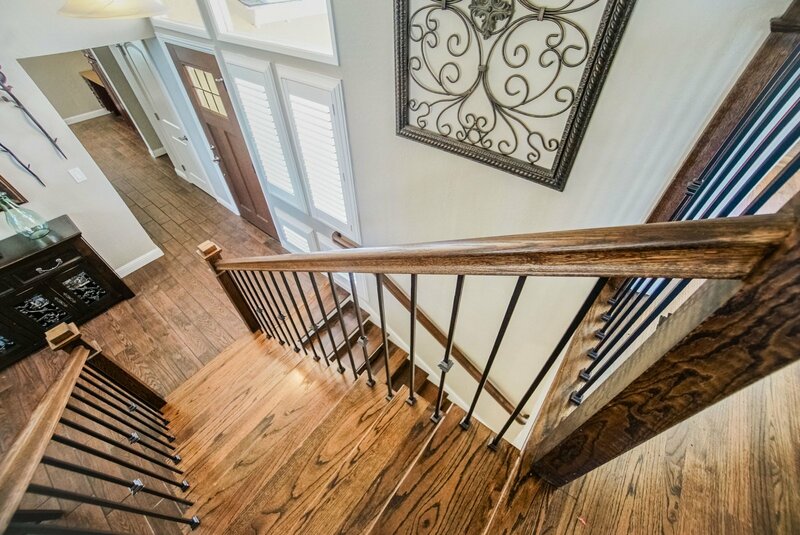 This home also has plantation shutters, vaulted ceilings & grand wrought iron staircase. 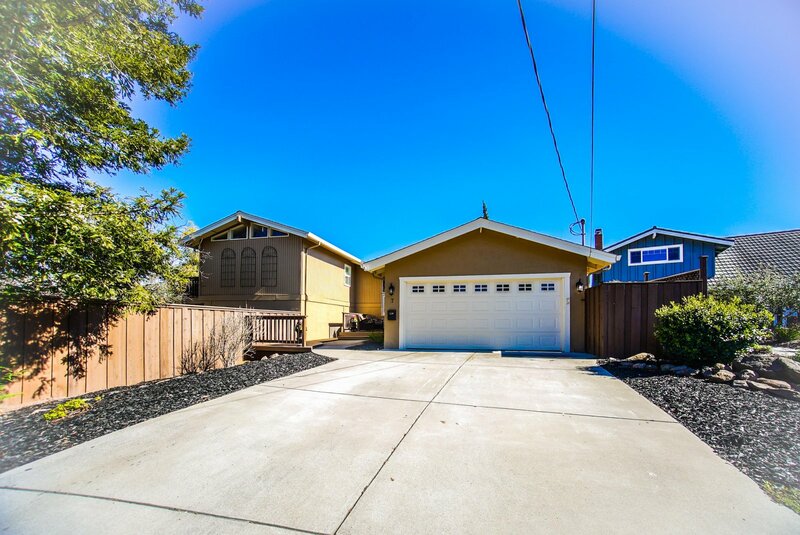 2 car garage, an extended driveway and paved side yard. 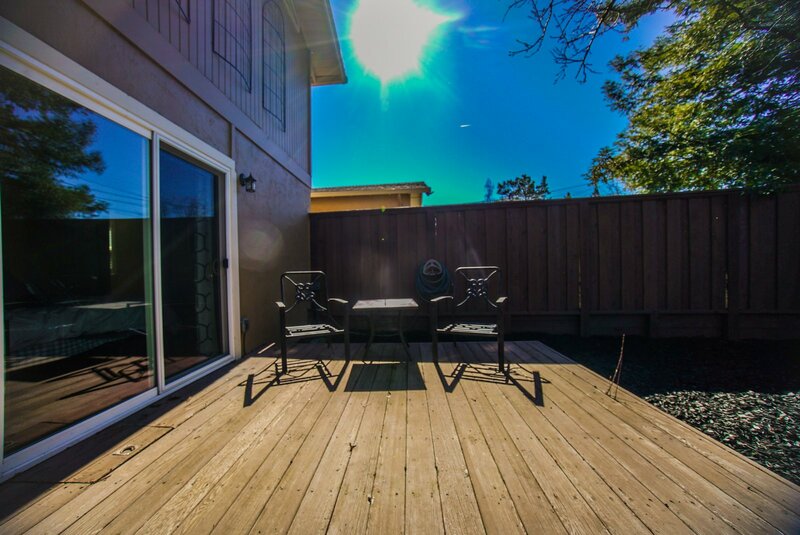 Spend all your evenings soaking up the beauty of your very own backyard! 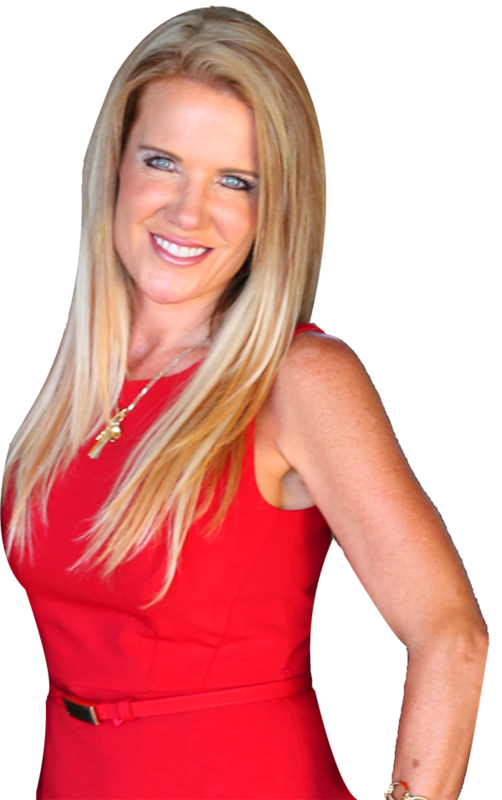 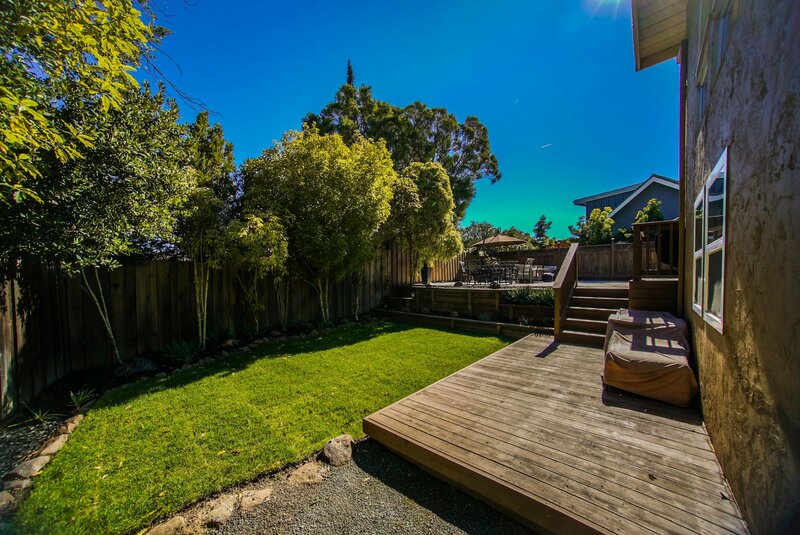 Professional, low maintenance landscaping in front & back. 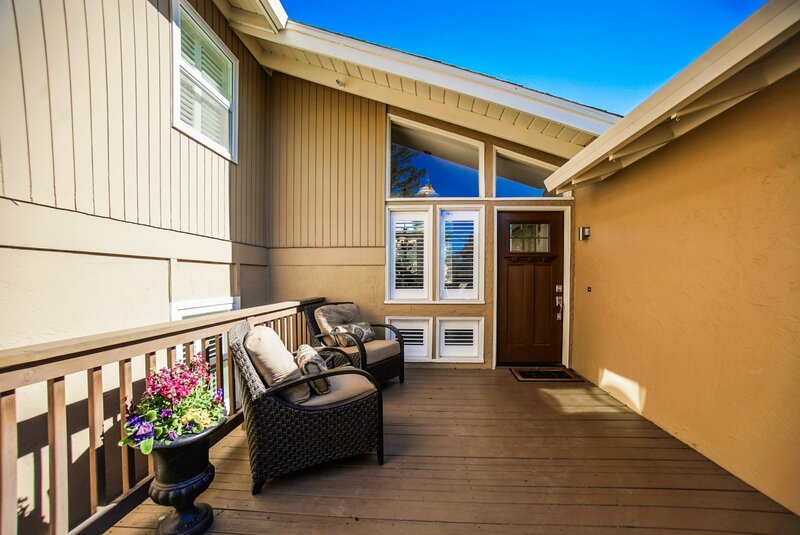 Tranquil raised front porch ideal for enjoying the morning sunshine or watching your kids make memories in the quiet court. 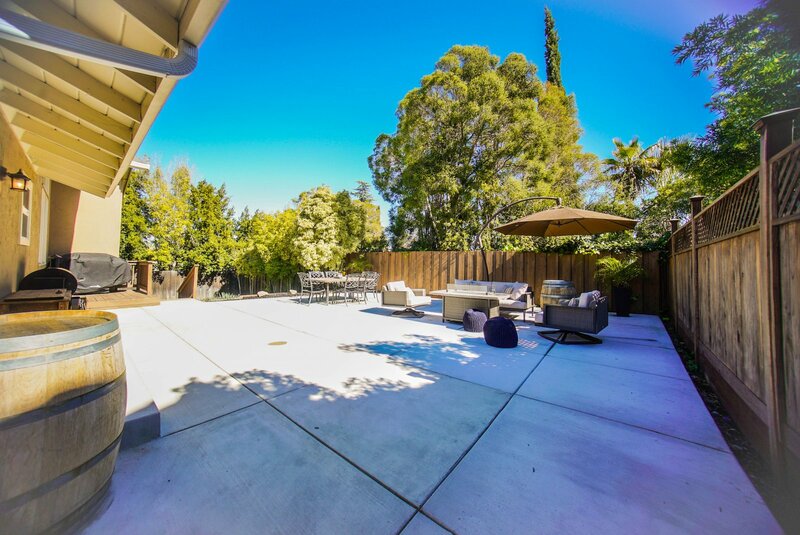 Entertainers dream backyard! 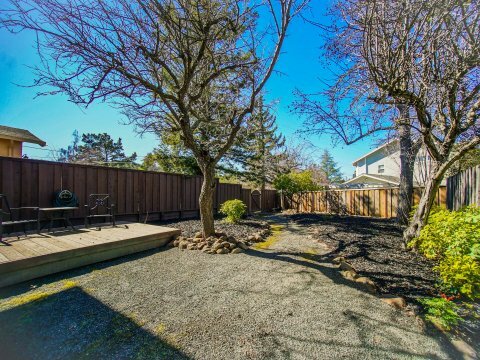 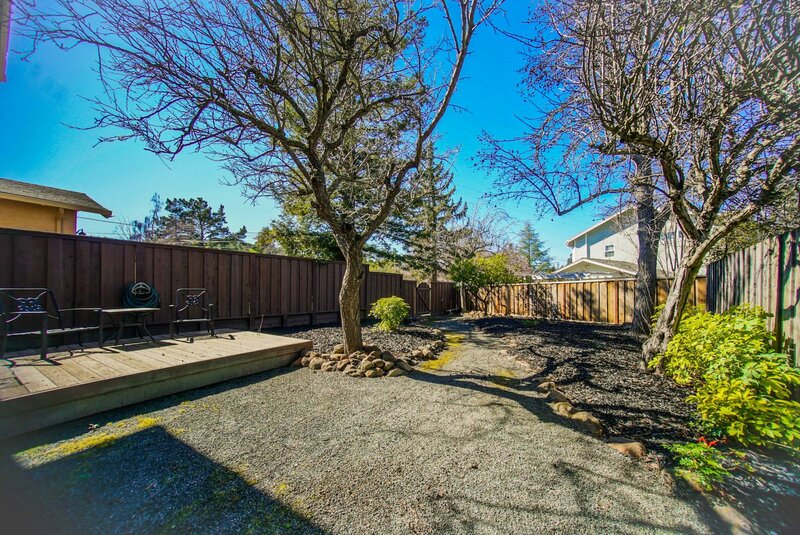 Spacious paved patio, additional raised BBQ deck, lower lush grass area, trellis covered shaded & cool sideyard, ideal for keeping you chilled on those warm summer days! 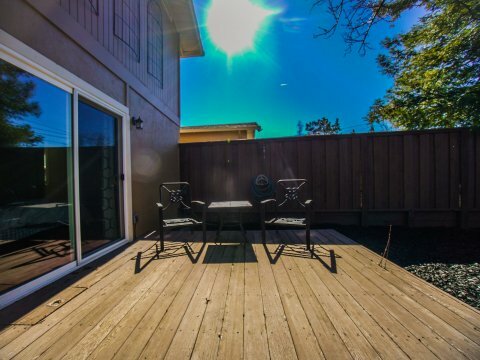 Private raised deck off lower bedroom. 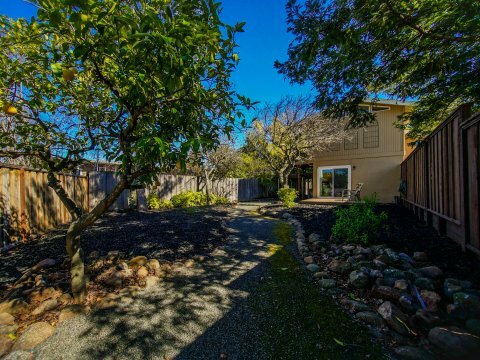 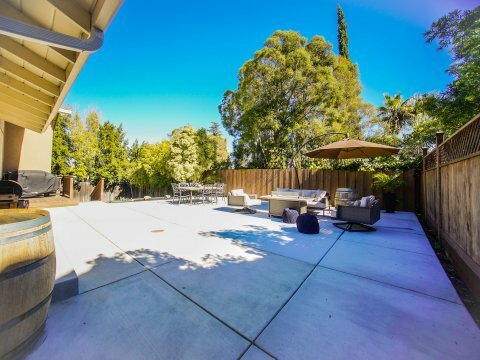 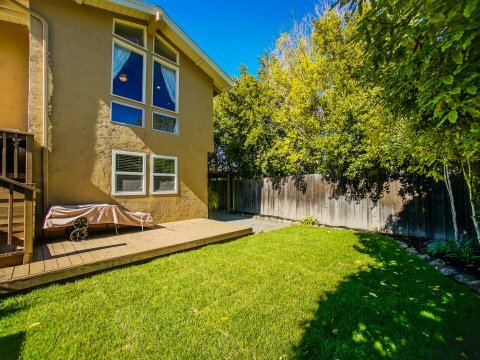 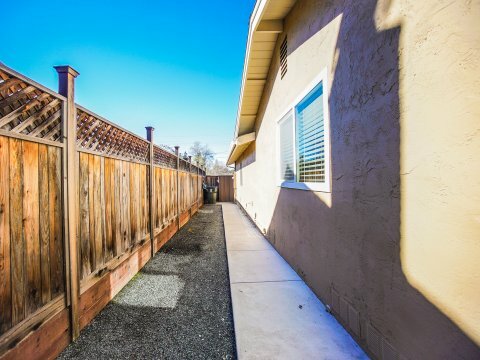 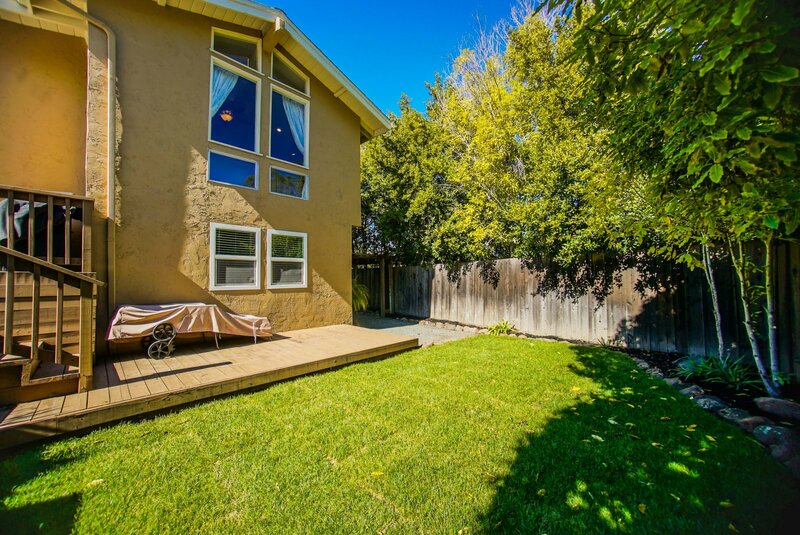 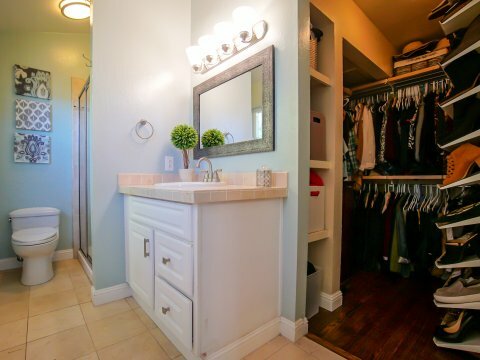 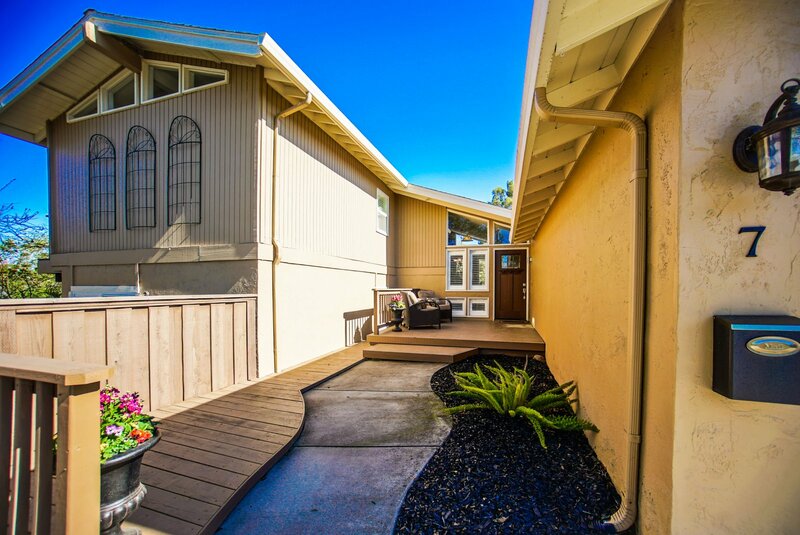 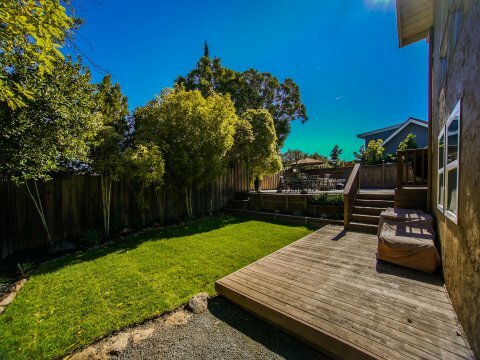 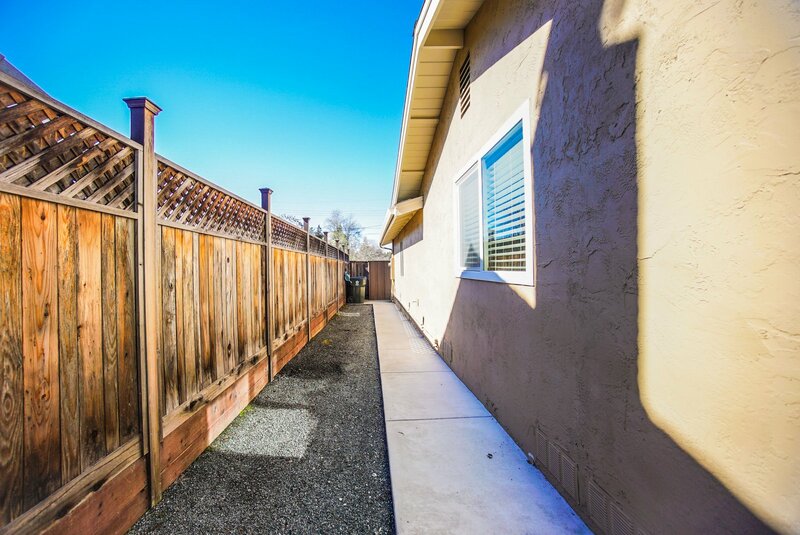 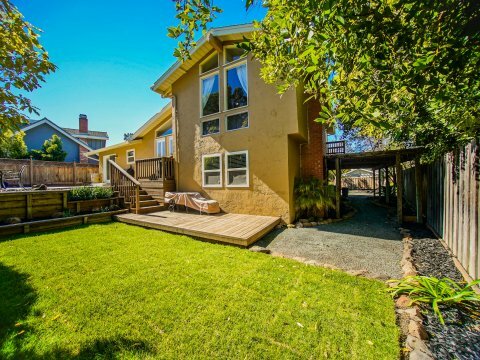 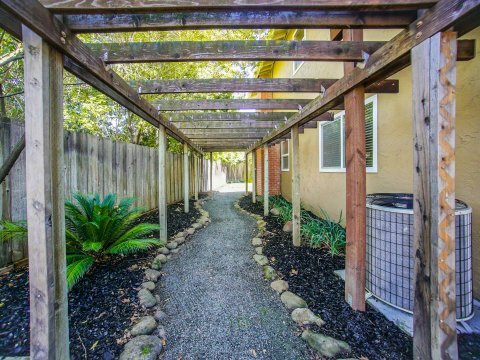 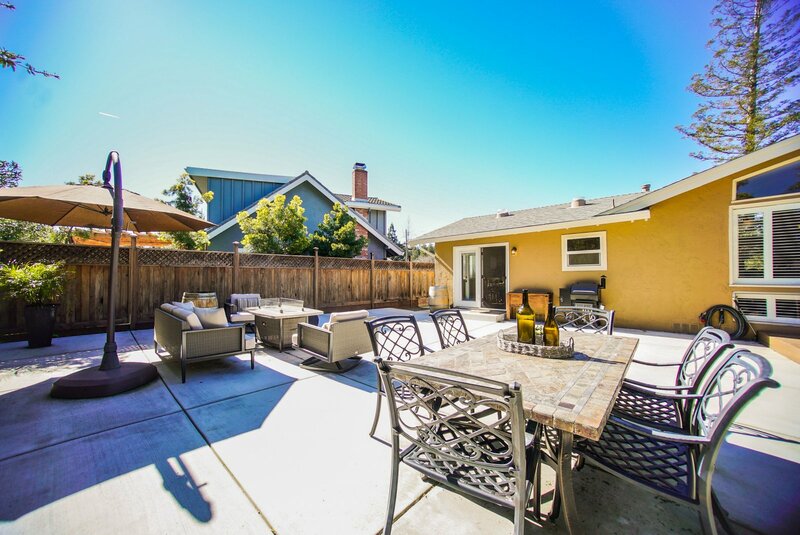 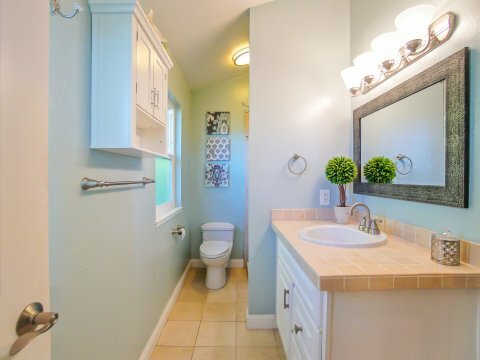 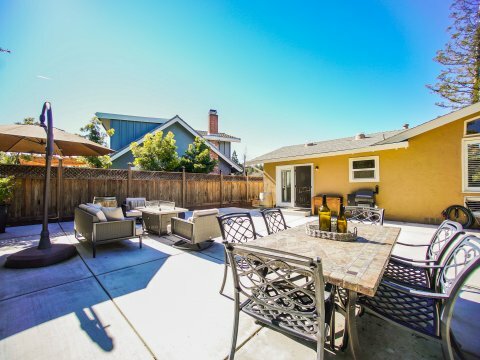 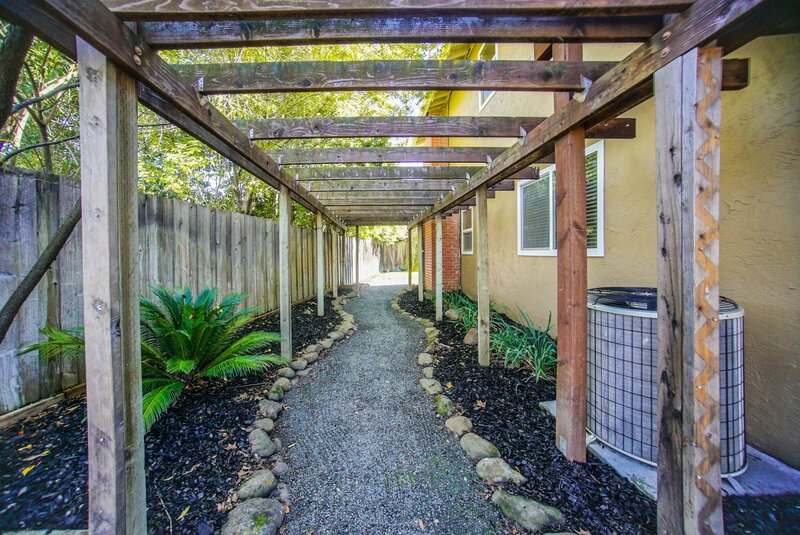 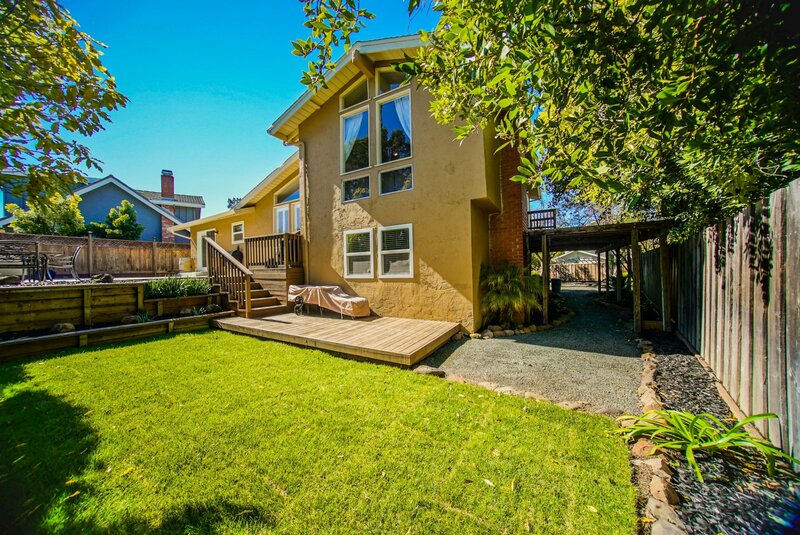 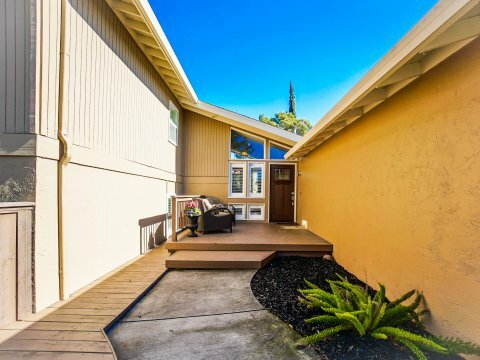 Spacious & serene side yard offering access to the driveway and a delightful lemon tree. 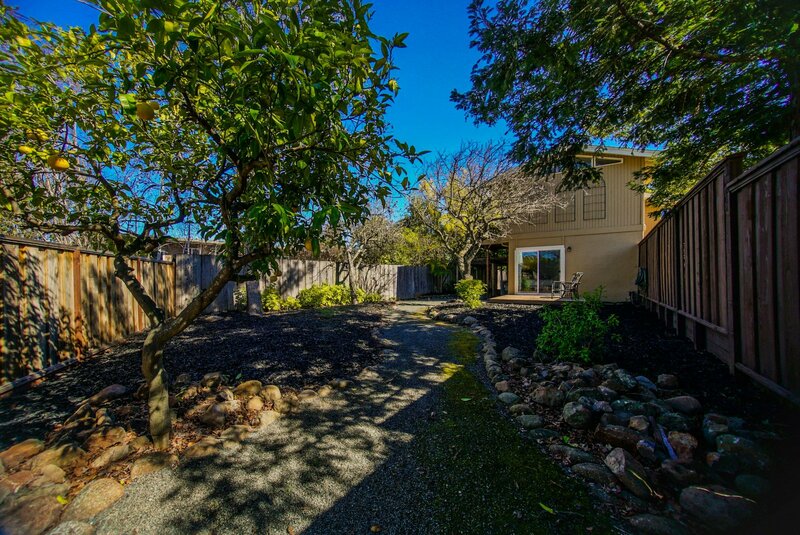 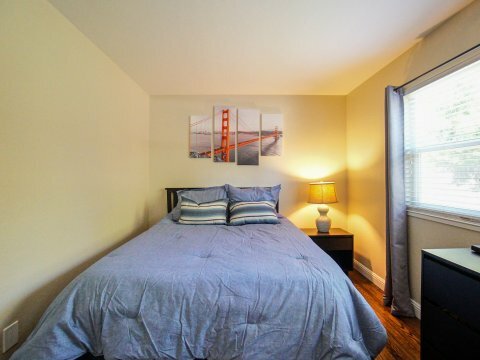 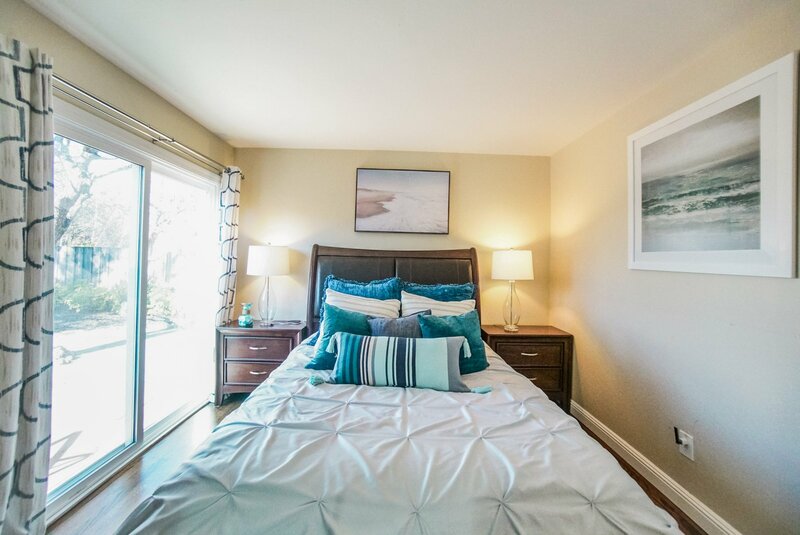 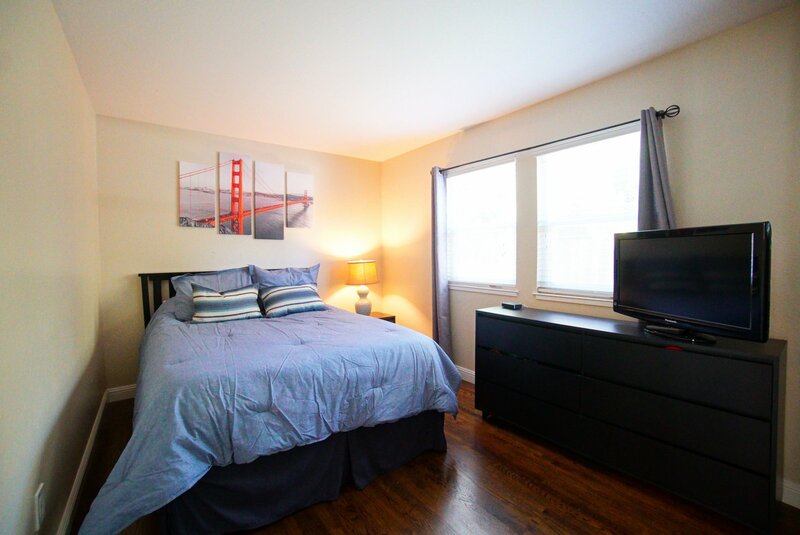 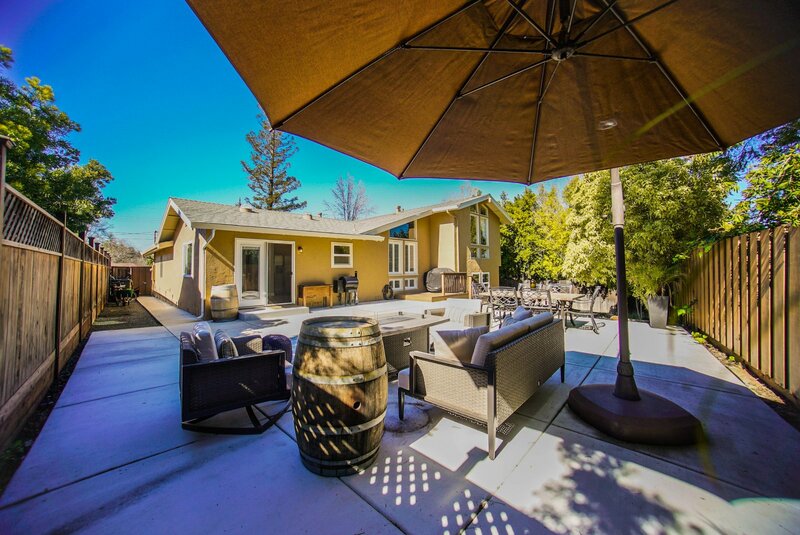 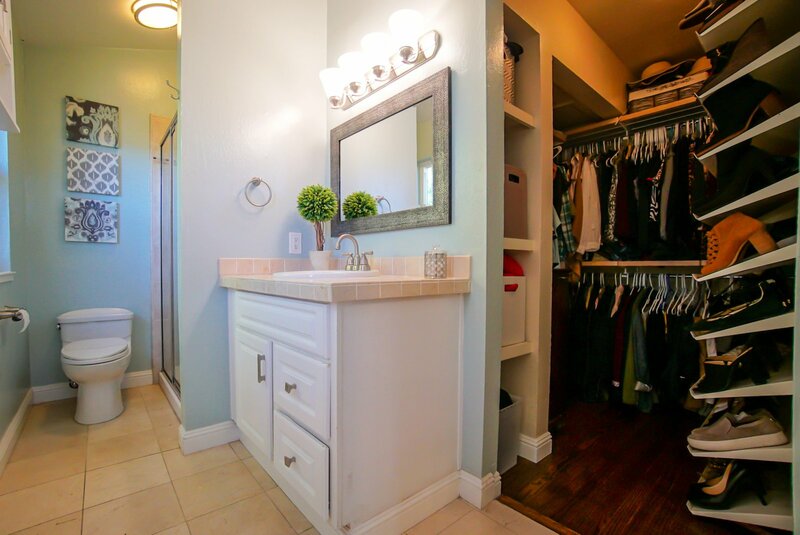 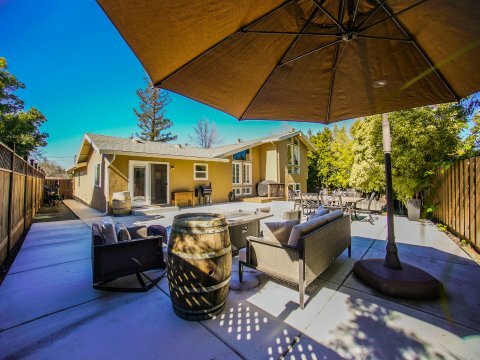 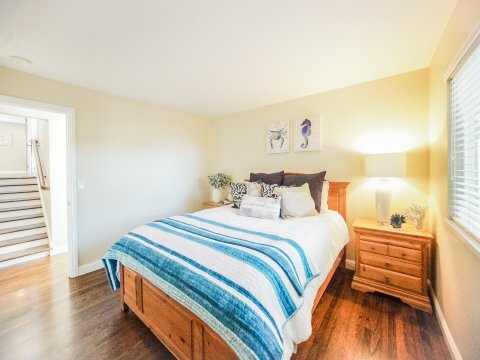 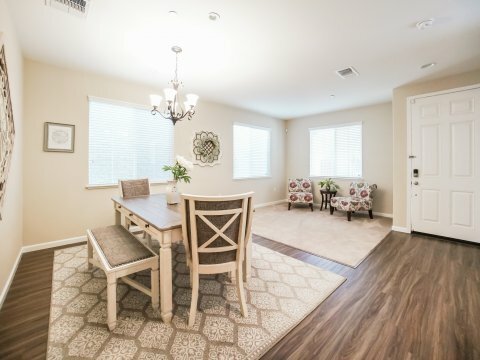 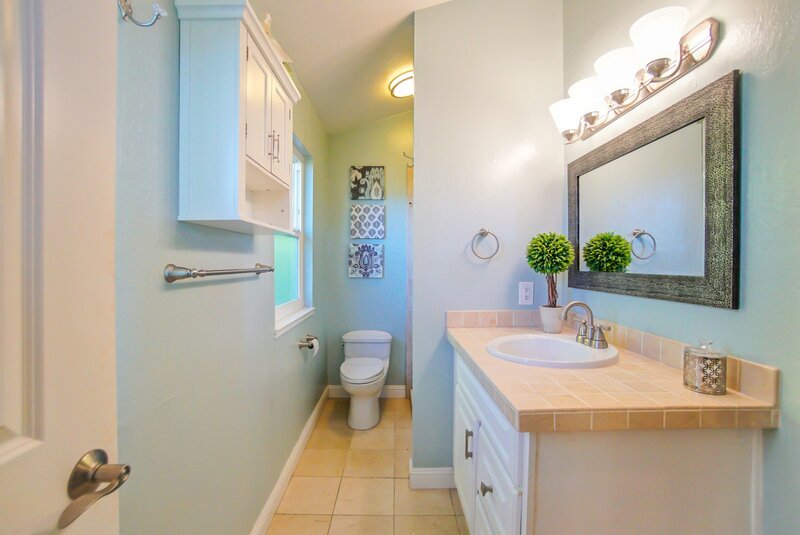 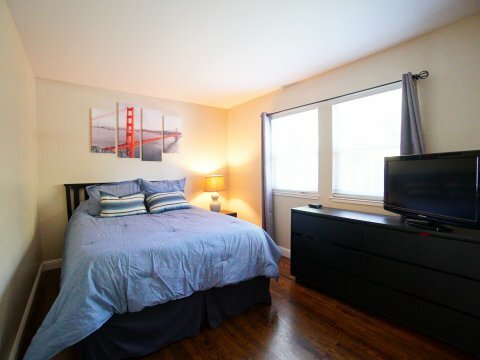 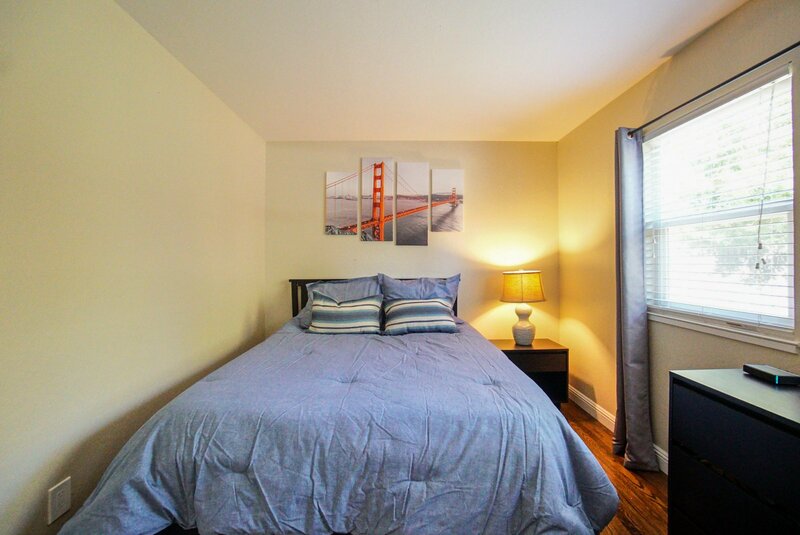 Just minutes from downtown Pleasant Hill, freeway access & local shopping centers.